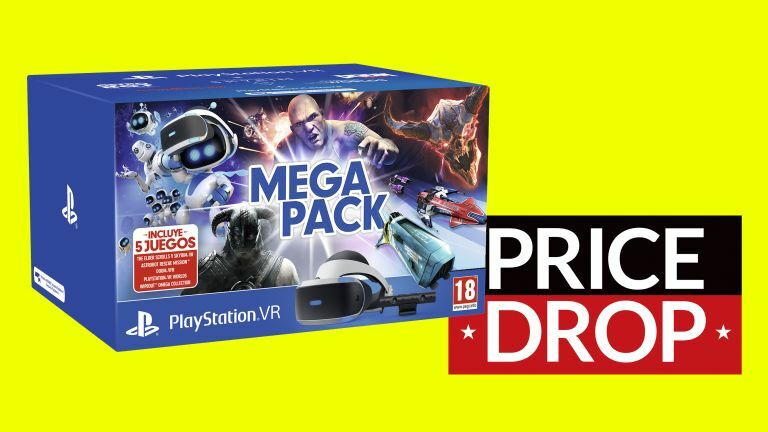 PSVR deals: PlayStation VR Mega Pack price slashed by £70! We saw some great PlayStation VR deals during Black Friday but we saw nothing that matched this incredible deal on the game-stuffed Mega Pack bundle. How good? A massive £70 price cut good, taking a whole 23% off the total price of the bundle, which includes the PlayStation VR headset, PlayStation Camera, and 5 amazing VR games, too. We very much liked the PlayStation VR on review, praising its ease of setup and use, as well as impressive library of games. Indeed, while other VR headsets like the Oculus Rift and HTC Vive Pro offer superior hardware technically, Sony's plug-and-play offering definitely has the superior library of titles to play. This is why this Mega Pack deal is so good, as it bundles in 5 of the very best titles on the system to date, and then opens you up to a further library of amazing VR games. Naturally, at such a good price point stock at Argos is going to run out fast, so we advise you to move fast if you want to score one.